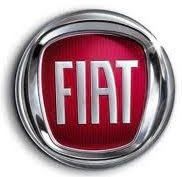 Yesterday FIAT's plant in Termini Imerese closed its doors after 41 years, laying off over 1500 workers. Coming on the heels of recent flash floods and mudslides near Messina, which claimed several lives, this culminated a week of what seemed like Biblical Plagues. The FIAT debacle is more complicated than a generic natural disaster. At one point the workers were offered majority or even full ownership of the plant but refused. Instead, most preferred to remain employees rather than to become the owners of an automobile plant. And most had worked in the plant for decades. The fact is that the era of permanent blue-collar jobs is coming to an end, at least in Europe. The plant was a rather unusual proposition from the beginning, propped up by loads of public money to "persuade" (read bribe) Italy's - and now the world's - largest auto maker to set up shop in Sicily. Even for Italy, which has bailed out FIAT many times over the years, this seemed excessive. By 2005 the plant's productivity and efficiency were being questioned, for a variety of reasons, while many workers were absent at rates far beyond the national norm. Tragic as the closure is for workers and their families, 1500 employees are not very significant, statistically speaking, in a region (Sicily) of five million. While the human cost is obvious, this is part of a general trend as numerous businesses have closed across Sicily and around Italy over the last few years, with precious few successful new ones to take their place. FIAT just happens to employ more people than the typical clothing store.